Save on your next flight from CEB to BON when you book through Travelocity. Need a last-minute flight to Bonaire? Travelocity offers discount airfare no matter when you book, even on popular routes such as Mactan - Cebu Intl. Airport to Flamingo Intl. Airport. Whether you need a direct or indirect flight, you can trust Travelocity to provide you with the best prices for CEB to BON flights. Top Flights from Mactan - Cebu Intl. Top Flights to Mactan - Cebu Intl. Explore Bonaire with Travelocity's Travel Guides to find the best flights, cars, vacation packages and more! Beautiful grounds, pool and ocean access... not as dive friendly as other places as there were rinse tanks near shore, but no gear storage that we found with resort being very spread out and far from parking. Not great for divers, but nice for families and snorkeling. 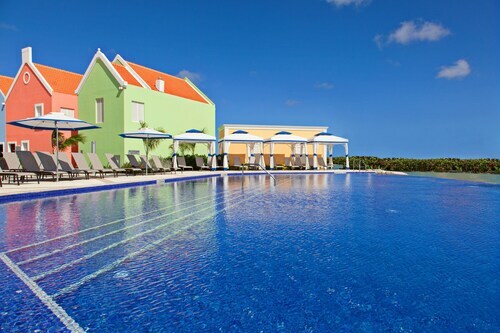 Situated in Kralendijk, this hotel is 2.9 mi (4.7 km) from Bonaire Donkey Sanctuary and within 6 mi (10 km) of Pink Beach and Lac Bay Beach. Bonaire Flamingo Sanctuary is 8.4 mi (13.5 km) away. 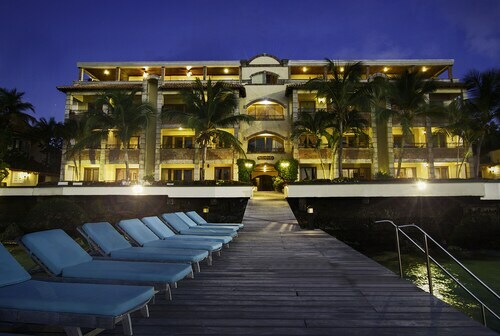 Situated on the waterfront, this condo resort is within a 5-minute walk of Donkey Beach and Bachelor's Beach. Bonaire Donkey Sanctuary is 1.5 mi (2.4 km) away. 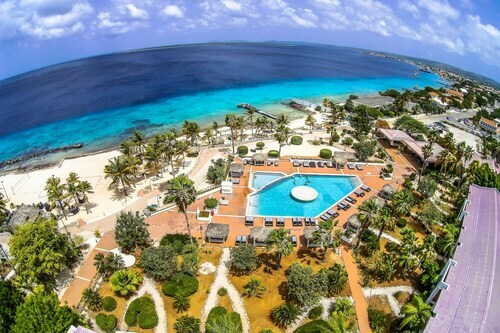 Situated in Kralendijk, this condo resort is 0.8 mi (1.3 km) from Donkey Beach and within 3 mi (5 km) of Bachelor's Beach and Bonaire Donkey Sanctuary. Pink Beach and Lac Bay are also within 6 mi (10 km). See all 233 Properties in Flamingo Intl.